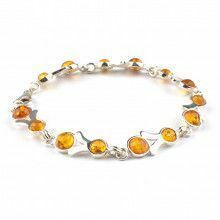 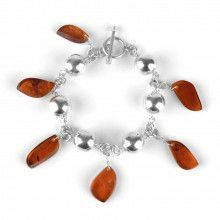 Exceptional bracelet featuring many small, rounded, organic shaped amber stones. 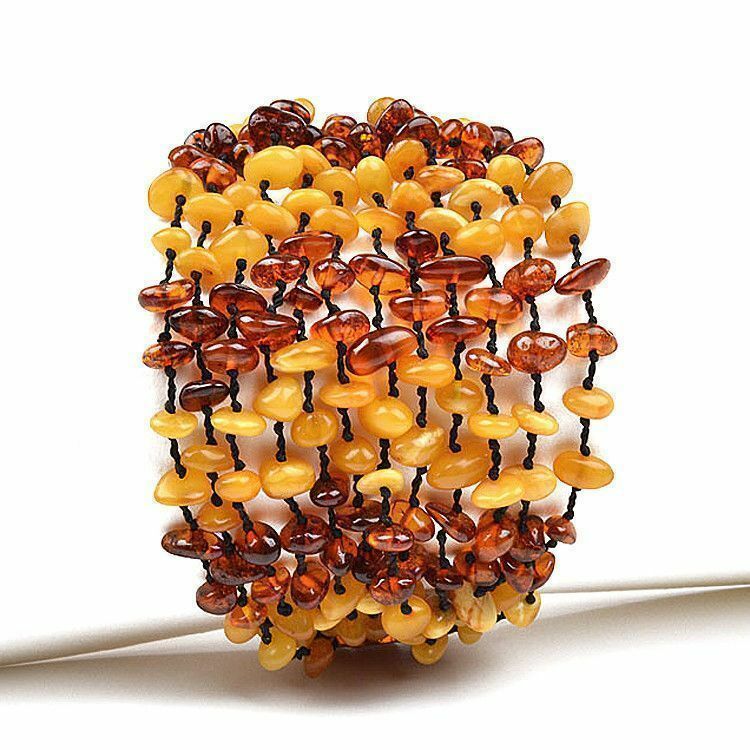 The genuine honey and butterscotch amber stone beads were hand strung onto twelve separate black strings that collect into one amber bar before the closure. 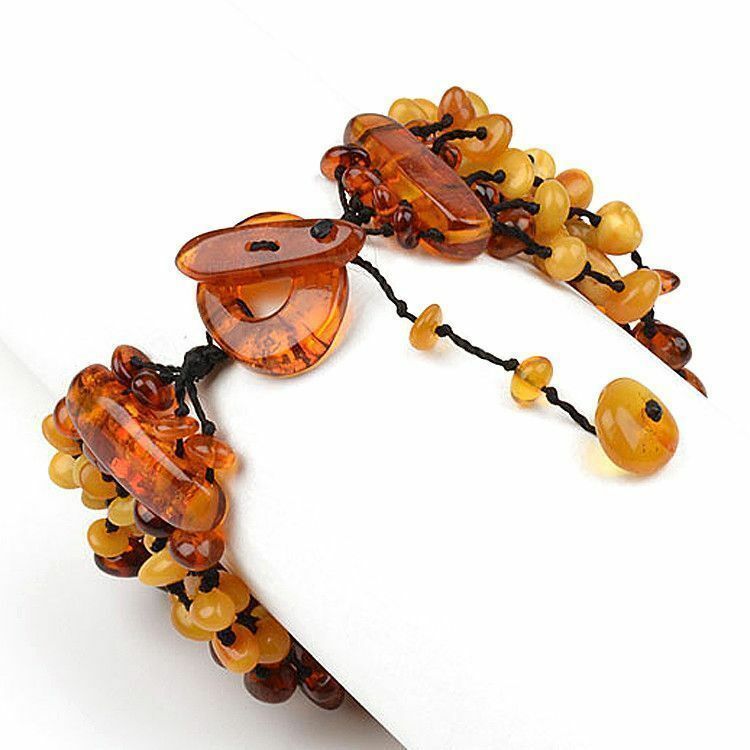 The modern toggle clasp closure is also made of amber. 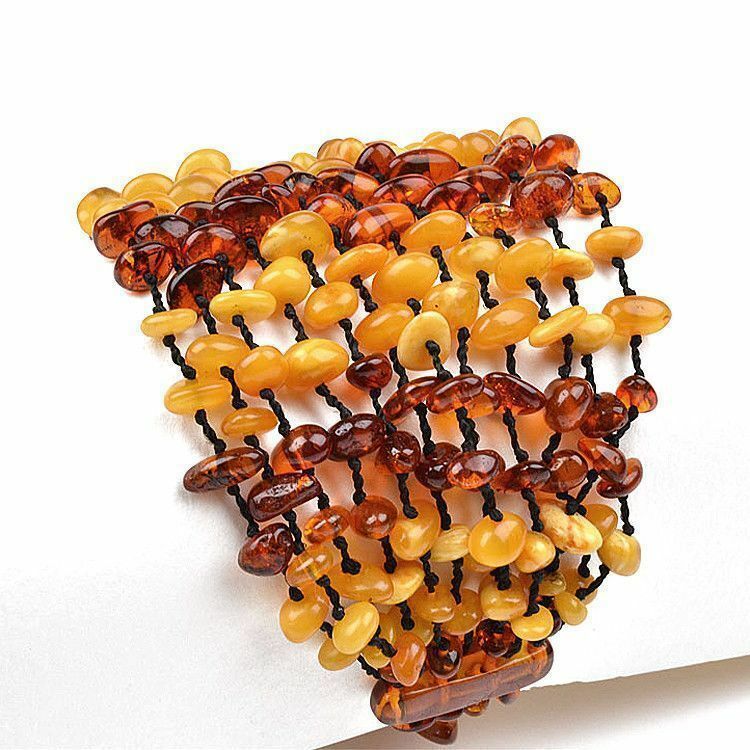 The black string has been knotted before and after every single stone, for fashion and for durability. 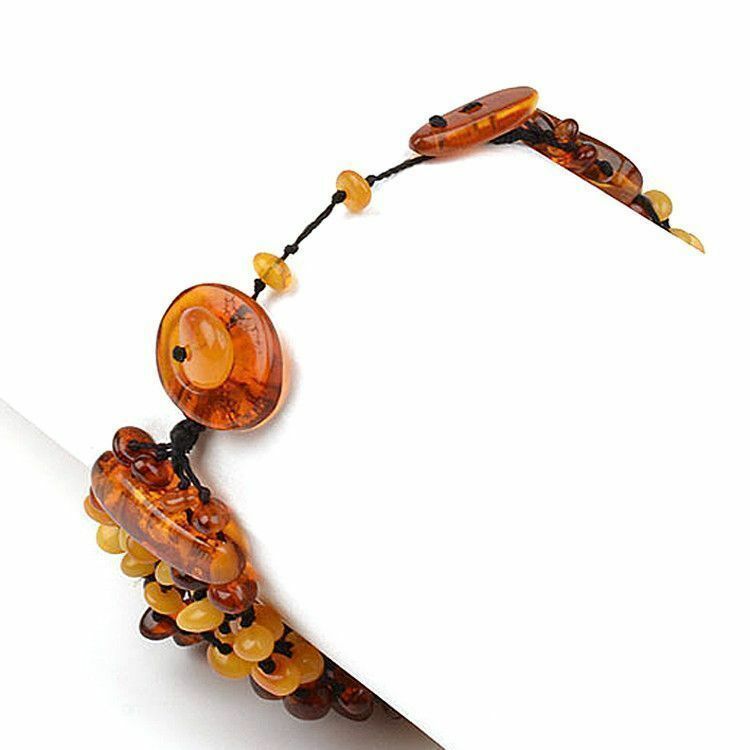 This is truly a unique amber bracelet! 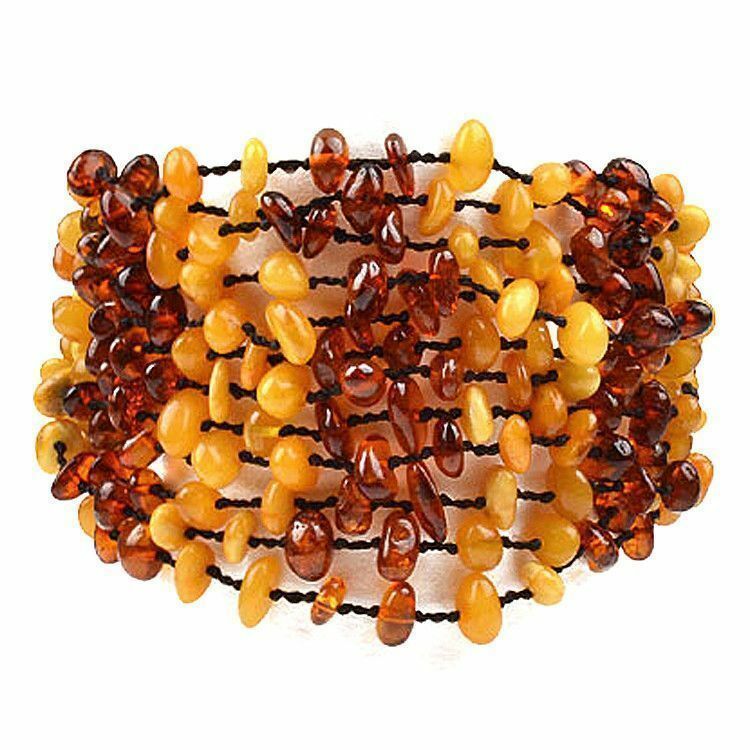 Fits size 6" wrist perfectly. 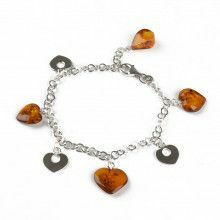 Fits wrist size approx. 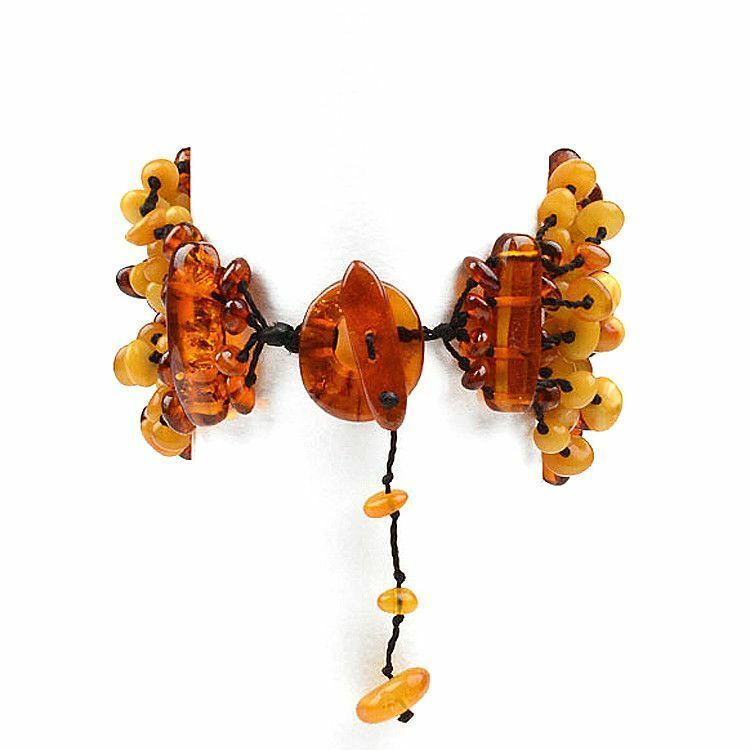 6"